'Opal and Orange' Oil on Canvas 28 x 18. I'm always striving to include only the most important aspects of color, light, and form. Comparing my execution of a painting with the execution of an image by a machine probably strikes them as a favorable comparison: it takes skill to get a high degree of accuracy, there must be intentionality behind the effort, the viewer likes to know what he's looking at, etc. Especially for the student who is working diligently at discipline and technique in order to achieve visual accuracy, it could be encouraging to hear that the result of one's work is "photo-accurate." It takes time and great effort to attain accuracy in one's drawing and painting. However, though most people intuitively recognize that a well-executed painting is superior to a photo, we mostly couldn't articulate how and why. For example, a wonderfully executed still life painting, hung in an ornate frame, set in a gorgeous architectural environment within, say, a formal dining room, is fitting and beautiful (if well integrated with the space). A photograph of the same subject in the same situation would seem a parody. Why? The major reason is breadth. So what is breadth, exactly? To begin answering that question, let's look to painting's near cousin, sculpture. 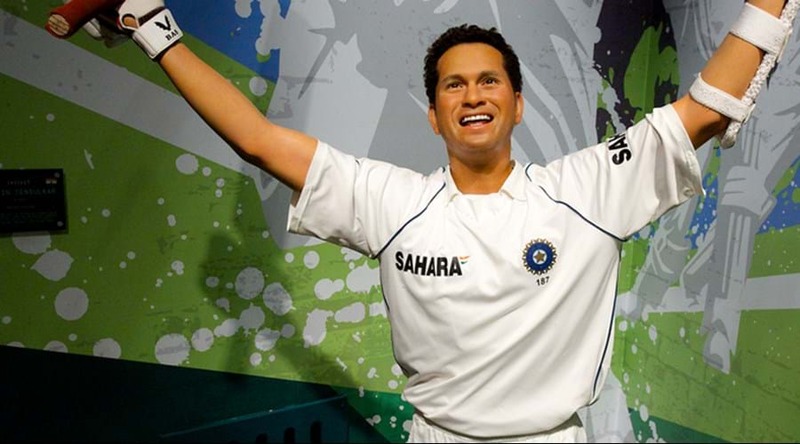 Specifically, I ask you to compare Michelangelo's David to this wax figure from Madame Tussaud's. Let's ask the more obvious (or at least the question more modern, empirical minds find easier to answer) first: which is more realistic? Obviously the wax sculpture, correct? Now, the less comfortable question: which is more beautiful? Don't give in to that modernist temptation to cowardice and say "who am I to judge," or "beauty is in the eye of the beholder." Don't give in to a state of agnosticism because the matter cannot be mathematically proven or quantified. Say with boldness the truth as you see it. I say just as obviously as the latter is more realistic, the former is more beautiful. 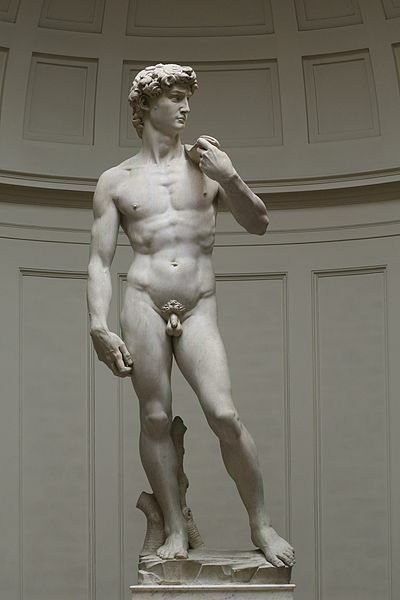 Michelangelo wasn't trying to recreate a literal man in marble (as a mold of a man could have been taken and enlarged for that purpose through mechanical processes) - no, he looked at men around him and, from his experience and intelligence, derived an ideal concept of a man that embodies poise, grace under pressure, beauty and form, strength and sensitivity. He communicated not only the story of David and Goliath but also the strength and beauty of the city of Florence, poised to slay her enemies. It is a higher, clear vision that grasps what is essential and leaves out what is not. It is as high above a mere cast of a man as a human being is higher than a beast. There are similar qualities but they are unmistakably different in kind and excellence. So too, with a well-executed painting and a photograph. To define it more precisely, breadth is the quality of an artwork in which the most essential elements are beautifully related one to another within the given medium without burdensome, distracting, or inessential details. Fewer facts but more grand truth and beauty. Now, where does Photorealism fit into this vision and understanding of art? Don't many artists work from photos even if they aren't Photorealists? The short answer is: yes, sort of. An artist should, as much as possible, be before nature and exploring and understanding beauty as directly as possible without any mechanical separation or filter. Painting from a photograph is a fundamentally different and inferior experience and practice from painting from nature. Painting from photos is deadly to the art of painting when practiced exclusively and is deleterious to it in any quantity. This being said, it is often a necessary tool for modern artists and can be useful as long as the painter has sufficient and effective training based on direct observation of nature. Photorealism as a movement sprang up in the 20th century with much good intent. I believe many of its practitioners recognized the intimate connection between truth and beauty (which all of this previous conversation presupposes). However, photorealism has an improper relationship with the truth in a couple of ways. The first is that it accepts the photograph as a starting point and a foundation for the truth the artist bring to his art, as opposed to direct, unfiltered observation of nature. Leaning on photography this way trains the mind and eye to accept certain distortions and limitations of nature characteristic of that medium. Color, form, edge, and focus are not the same (or as beautiful) in photography as the human experience of sight. Secondly, Photorealism tends to make slavish, exact replication of a photograph with all the warts, pimples, pores, and other "facts" the end goal without the larger understanding of relationships, and most essential connections. This way of mechanically copying the already-mechanical image of a camera is the antithesis of breadth. I don't want to scold Photorealists too much though. The truth is the original Photorealists were trying to rebuild the connection to visual truth from the ruins of the destruction of Western Art. 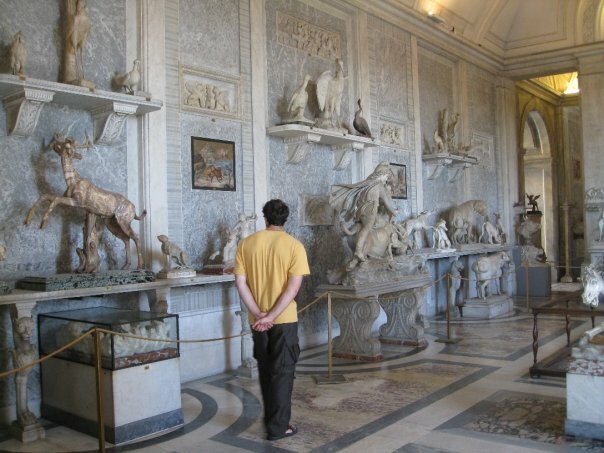 Much of their work is impressive and skillful in an age of art characterized by the rejection of truth and technique and the production of quite unimpressive, undisciplined, and/or ugly works. 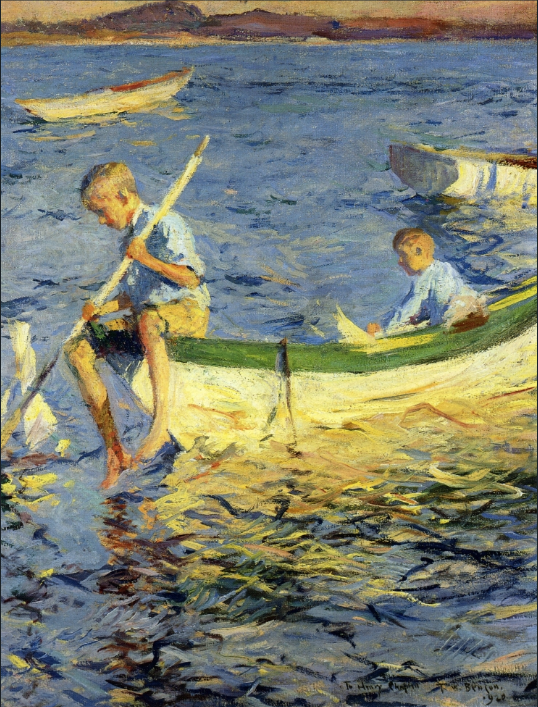 At the other end of the spectrum, another mistake of our time is to accept and value paintings with bad color or poor drawing - schlocky work - merely because it is "art" that is too poorly made to even appear to be based on a photograph. In essence: valuing deformity as opposed to breadth and beauty. Both of these errors (of Photorealism and schlocky painting) are types of Neo-primitive ways of painting and inferior to the great tradition of Western Art. I want to close with two paintings from the Museum of Fine Arts, Boston (MFA) that struck me on a recent tour I gave - one by Chardin and one by a Flemish Master, Frans Snyders. The difference I will describe is what led the Boston School painters (who founded the MFA) to revere Chardin as a hero and to appreciate Snyder as striving towards greatness yet ultimately remaining relatively primitive. 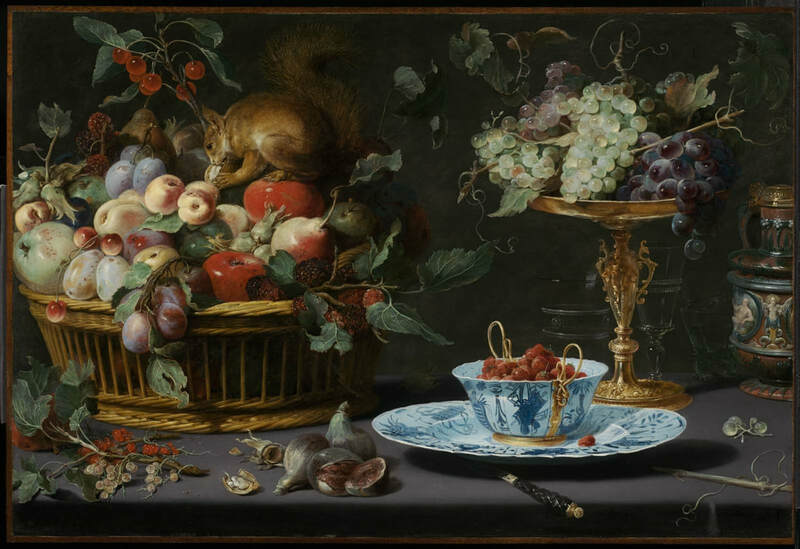 Among other interesting objects, this still life by Snyders features a pedestal of grapes. Every grape is thoroughly and painstakingly described, the decoration on the fine china is there in all of its detail, the weave of the wicker basket is accurate, and so on. It is realistic. It is detailed. It is impressive. Still Life with Fruit, Wan-Li Porcelain, and Squirrel. Frans Snyders (Flemish, 1579–1657), 1616. Image courtesy of the MFA (www.mfa.org). The other is a small still life by Chardin that might easily be overlooked despite its significant placement on one of the two main columns in the front of the museum (another still life by the same painter occupies the other column as well). In this simpler composition we find many fewer edges and details. The grapes, when inspected closely, tend to blend in with each other. However, as the viewer steps back, one or two edges of the cluster of grapes jump out - a reflection here, a silhouette there - until the viewer perceives some as being closer, others receding into the shadows (to recreate the effect, try squinting at your screen a bit). As the viewer backs even further, the grapes interact with the ceramic around it and the table underneath until, unmistakably, a scene of light and forms with clear and unmistakable depth congeals in front of the viewer's gaze... each part related to every other. With this fresh experience of the painting, one glances back at the first work and notices how, despite all of its detail, it looks flat. One grape in front looks almost as close as the grape in the back of the cluster. One intricately detailed edge of the plate seems just as close as the other despite sitting on a flat table and being, presumably, almost a foot away. A direction of light is indicated but not felt. The Snyders has intricate detail added to intricate detail (1 + 2 + 3 + 4... ). On the other hand, the Chardin has considerably fewer details... but each chosen one is in marvelous harmony with the others. These details communicate with one another and multiply their respective effects into a grand unity, more expansive and much more meaningful than any single part by itself (1 x 2 x 3 x 4...). It is said that each is entitled to his own opinion. There is much truth in this. However, this phrase is often used to justify the indefensible. A certain author that I knew once put forward the following silly scenario to show the limits of this phrase: are people entitled to the opinion that loaded shotguns should be kept in nurseries for young children to play with? Of course not. Few but those with ulterior motives, including fear, would ever say such a thing would be an acceptable 'opinion.' The true responsibility that everyone has is to form their opinions in accordance with the good, the true, and the beautiful. Opinions are not valuable just because we happen to have them - they become valuable when they are well formed. The flip side of this is that they can actually be very harmful when they are poorly formed. For some reason, bad opinions are justified because of a false belief that all opinions are equal and it is impossible to sort them out. Let's turn this idea of opinion to the subject of art. There is a saying that good art should speak for itself. In general, I hold this to be true. Good art should be immediately appealing, with such qualities as a beautiful and harmonious color scheme, excellent drawing, beautifully sculpted forms, harmonious composition, and division of space. Even the untrained eye will immediately appreciate works that are excellent in these ways, so the work, to a certain extent, speaks for itself. As this kind of art appreciation goes, it is a very good thing. But -- what is good taste and how does it apply to the visual arts? 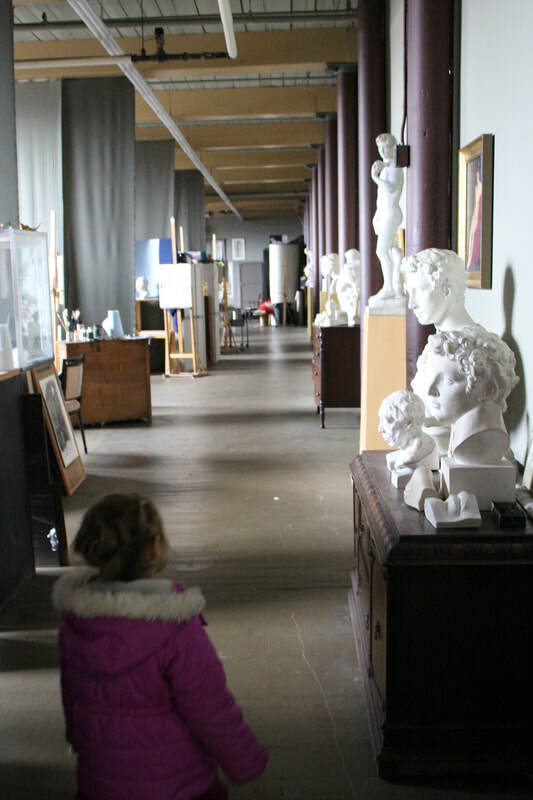 'Good taste' is simply to have a well formed opinion, in accordance with the realities of the Good, the True, and particularly the Beautiful, when it comes to questions of art. GK Chesterton says: "A good critic should be like God in the great saying of a Scottish mystic. George MacDonald said that God was easy to please and hard to satisfy." ​A man of good taste should delight in the good - even relatively small goods - and be able to recognize and compare goods so that he knows which are the greater and which are the lesser. The man with thoroughly refined tastes may even be able to identify causes of the goodness he perceives and help others to understand and appreciate that goodness. For example: the man with good taste in wine is able to indicate to his companions particular aspects of flavor, scent, and structure, comparing these qualities to other, familiar flavors and smells in order to enlighten his friends. (If you are an aficionado, by the way, I need learn from you sometime.) Of course the development of such an ability to taste comes from cultivation; being familiar with many varieties of wines and being able to remember them and mentally compare past experiences to present ones. This usually comes only through serious study. ​So too, the man with good taste in art can appreciate amateur art, even a child's doodles, for the good that it is. 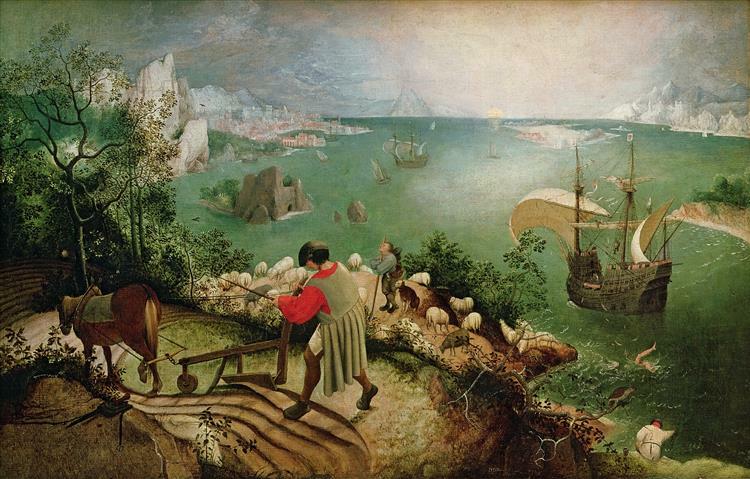 He can appreciate the excellences a Benson has over a Bruegel (and vice versa) and recognizes the sublimities of Michelangelo and Vermeer as the heights of their particular types of painting. For this level of taste, look no further than the example of the boy who said the emperor was, in fact - and quite simply - naked. 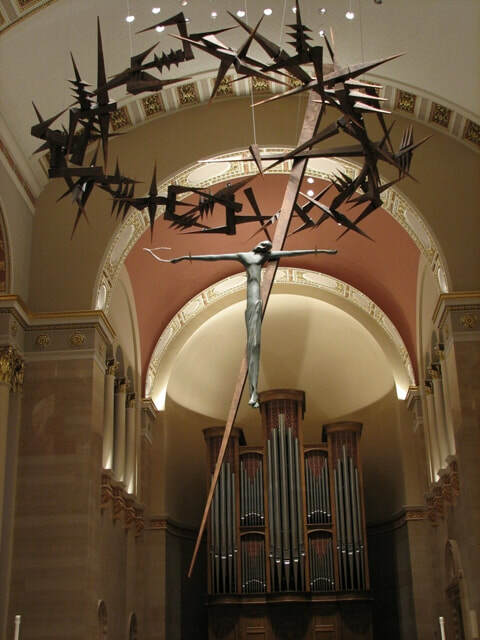 Let's go ahead and say it: this crucifix in the cathedral of Saint John the Evangelist church in Milwaukee, WI is just plain hideous. Thus, the responsibilities of good taste vary and take different forms in different circumstances. All of us, however, do have an obligation to the Beautiful in whatever circumstances we find ourselves and no matter how cultivated our tastes are or if we are just starting out on the journey of appreciating the beautiful. We cannot call what is beautiful ugly or claim that what is ugly is beautiful, nor can we claim a shallow or lower beauty is equal to a higher or more profound one. When somebody suggests that a Pollock is equal to a Michelangelo, it would be appropriate for you to laugh as if at a bad joke and then ask the poor fellow to please be serious. Just as no one is, in fact, "entitled" to the opinion that loaded shotguns should be kept in every nursery, likewise some opinions regarding art merit only flat rejection. As an exercise in developing good taste I have assembled a Pinterest Board of the 10 best images of Our Lady in Western Art. Tell me what you think! Share your thoughts and let me know if there are any images that you would put in the top 10 and which ones you might let drop out. I am always trying to refine my taste too!